When you request access, a little later you will receive an email to confirm that access has been granted, or that your membership has not been recognised (we do check each application). 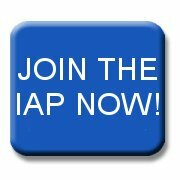 Please grant me access to the “members’ only” area of the IAP’s Web site. I confirm that I am a member of the Institution and accept that my access rights depend on my membership remaining current. User Names are issued on a first come – first served basis. You will be offered alternatives if your selected name is already in use. Please enter the 4 letter code into box below, this is to stop spam crawlers hijacking our email addresses.